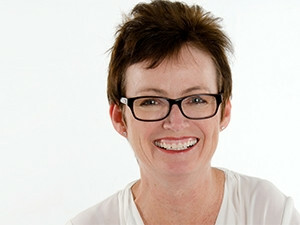 A social business policy protects a company, says Octarine Communications' Ann Druce. Effective social media policies do not have to be complicated or restrictive. They are, however, becoming increasingly vital to business. This is according to Ann Druce, marketing and content strategist and founder of Octarine Communications. Druce will present on 'Social business policy: no substitute for common sense' at the upcoming ITWeb Social Business Summit 2015, to be held in Johannesburg this month. A social business policy protects a company, says Druce. "It structures expectations and responses but it can't simply be a list of rules and regulations." In order for engagement on digital media to work, flexibility and speed of response are vital, and waiting for approval of every single answer up the line would be counter-productive, she adds. Therefore, social business policies must be accessible as well as flexible, and training is vital. "Your policy should aim to empower staff members that contribute online, giving them clear direction on appropriate behaviour and responses when representing the company. "No matter who drives the development of the policy, whether it is compliance, IT, HR or finance, it should certainly have the buy-in of the head of marketing." Marketing is too big to be left only to the marketing department but ultimately, communication with the target market and relationships with social communities should be overseen by marketing, she notes. According to Druce, it is surprising that more company boards are not pushing for the development of social business policies. "My perception is that many companies don't have clearly defined social policies." Druce joins a line-up featuring local subject matters experts, as well as international keynote speaker and social business guru, Neal Schaffer, at the summit. Click here to register for the social business event of the year.